The popularity of the Pokemon Go game is increasing every single day and one of the reasons of its popularity is the fact that you can play in on your Android device. If you want to fully enjoy this game you have to have a good battery in your device. Here are some ideas that can help you increase your battery life. While playing Pokemon Go it is recommended to play it in battery save mode and this will surely help you play a little longer. This mode is very effective option in the game. Also when you play in this mode you can still use the vibration alert feature when you find a Pokemon. With this in mind we recommend you to learn how to turn on the battery save mode in this game and play the game for much, much longer. Another good battery saver is to turn off the so called augmented reality during your gameplay. Having the camera effect and this option turned on will drastically shorten your battery life. On the other hand, turning this option off will give you extra time to enjoy this game. Please consult he game guide to learn how to turn off the augmented reality option. The next thing we would recommend is to control your screen brightness levels. The brighter your screen is the more battery power it uses and it is good to have this in mind. It takes time to play this game and you won’t be able to do it effectively if you are low on battery power. Reducing the screen brightness will definitely save you a little battery power. We are sure you already know how to do this so feel free to try this useful advice as soon as possible. Besides the battery saver mode which is integrated in the game, you can turn on the battery saver mode on your device while playing. This mode saves more power and you will be delighted to notice prolonged playing time. It is good to have your phone ready to play the game. If your battery isn’t full enough there are chances you will experience shutdown problems which can happen at bad moments. Turning the mobile device battery save mode will greatly prolong the battery life since it shuts down all the processes running in the background which don’t have real use at the moment. If you want to play this game to the fullest, you have to take care of your battery life. Turning off the music, vibrations, and other audio options is recommended too. The power needed for your android device to play audio is not insignificant. Of course, we all like to play games with the audio on. It just makes the overall experience much better. However, you have to decide whether you want to play the game longer with audio off, or much shorter with audio turned on. In short words, disabling audio and other effects will make your battery last longer. And finally, the best option which can make your gameplay experience longer and better is to purchase a good quality power bank. 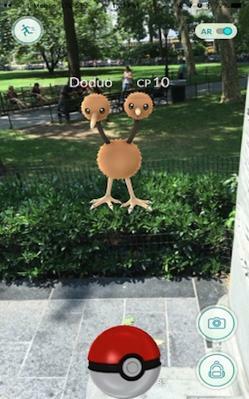 We can freely say that it is a great way to enjoy the Pokemon Go game. Having a power bank with you will make you feel more comfortable and without stress while playing the game. Therefore when you decide to buy one, make sure to get one with a good capacity. The ideas given above are definitely the best ideas which can help you save precious battery life and play the game much longer than before.